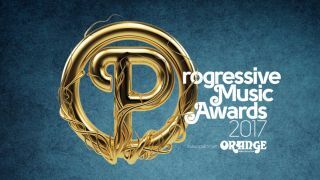 Artists from across the prog world have been honoured at the 2017 Progressive Music Awards in association with Orange Amplification. The sixth annual event celebrated the past year in progressive music and was hosted once again by Matthew Wright, with dozens of artists taking their seats at the event at London’s Underglobe. It was previously announced that Carl Palmer was to be crowned Prog God, and he was joined by a range of artists to receive one of the prestigious awards. Marillion picked up the UK Band Of The Year award and International Band went to Swedish prog/metal outfit Opeth. The coveted Album Of The Year accolade went to Anathema for The Optimist, Steve Hackett received the Chris Squire Virtuoso honour and King Crimson topped the Best Video category for Heroes – their cover of the David Bowie classic. Other winners on the night were Beatrix Players, Tim Bowness, Steve Hillage, Mark King, Voivod, John Miles, Max Hole and Eddie Jobson, while Spanish music festival Be Prog! My Friend scooped the best event award. Find a full list of categories and winners below.